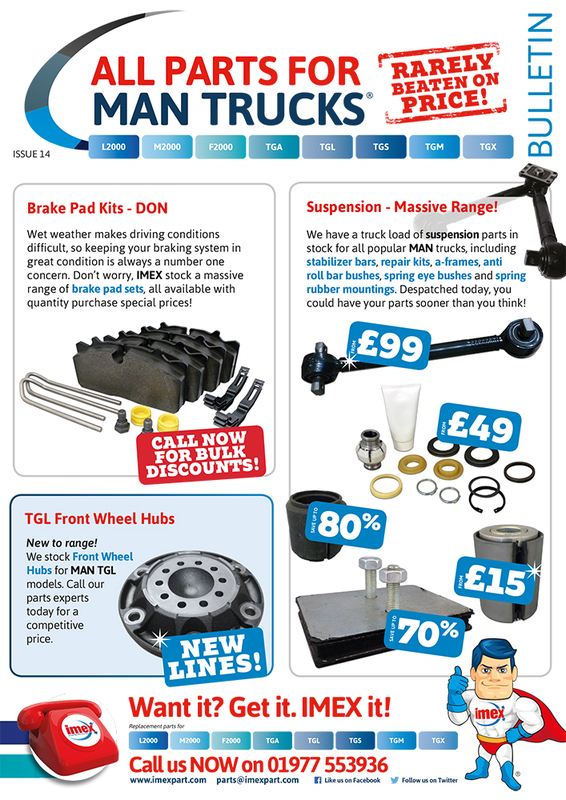 Replacement MAN parts bulletin out now! We’re excited to share with you our new stocking lines for MAN trucks – Front Wheel Hubs for MAN TGL models and Seat Cushions for TGL/TGM models. We also have low prices on parts within our Suspension range. Plus vast stocks of Engine parts… click here to download and read – enjoy! Covering all popular MAN models – L2000, M2000, F2000, TGA, TGL, TGS, TGM and TGS, we’ve got the parts you need.